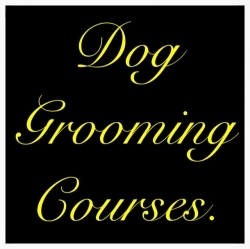 Handsome hounds now offers dog grooming courses, the following courses are available. Handsome Hounds Dog Grooming Diploma. This is a 10 day course designed for people who'd like to make dog Grooming a career. This course will give you the knowledge needed and practical experience with a wide variety of breeds. All grooming notes will be supplied and students are welcome to bring their own camera for before and after photos. Optional 6 month mentoring at an additional cost of £300. Course days Mon – Fri students may choose to split the course to fit in with their requirements or consecutive. This is a 1 day course aimed at pet owners who wish to learn how to groom and maintain their own dog. This 1 day course can also provide an insight into how our longer courses are structured before committing to a longer course. Grooming notes will be supplied and student cameras are welcomed for before and after photos. Both courses will require a non refundable 50% deposit when booking to secure your place, with the balance payable upon commencement of your chosen course date. All booking dates subject to availability..